A culturally rich festival experience. Santo Domingo is the place to be next weekend. 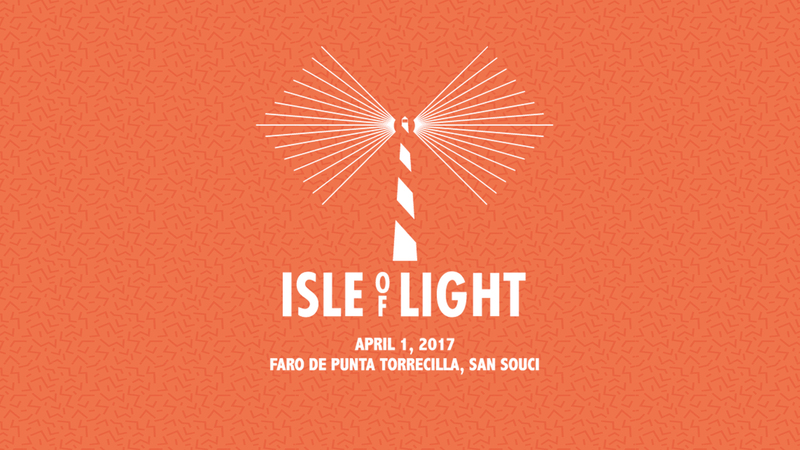 With the fourth annual Isle of Light Music Festival taking place on April 1, the beautiful Dominican Republic capital will be glowing in the beacon of the Punta Torrecilla Light. Between a killer lineup and a collection of vast culturally rich opportunities–like the extensive IOL food court and art installations galore–you won’t want to miss out. We were lucky enough to chat with the creative team from Mishu, who are the driving force behind this magical paradise of a festival—Luis Betances, Eddy Perdomo, Carlos Aybar, John Waltmann, and Mark Simek. The festival organizers shared what makes IOL so special, and what they hope attendees will take away from the exciting weekend getaway. Check out our exclusive interview below, then make sure to Track all the bands heading to the island below. This is the fourth year of the festival. How did the idea of Isle of Light originally come to life? Luis Betances (Head of Production): After putting on our first event, Bacanalia and its success, we started looking for the perfect site for a larger scale music festival. One day, as we were scouting a nearby site, it was almost as if the lighthouse called out to us. We surveyed the site that day, and the rest is history. What was special about choosing the Old Colonial Zone of Santo Domingo as the festival site? LB: The festival site is a small peninsula, surrounded by 180 degrees of water. There are coconut trees everywhere but yet the floor is grass. The towering lighthouse gives it a larger than life feeling. The Colonial Zone being right next door is very important to us, because it allows attendees and visiting artists alike, a chance the explore the first city of the Americas, the first street, the first tavern, and its first cathedral–providing a real cultural exchange for all involved. What is the process for selecting such an eclectic and culturally rich lineup? Eddy Perdomo (CEO): This year, we are pushing the envelope and making sure that the presence of key international acts and our local folklore are intertwined with a common denominator, great musicianship and performance. Which artists are you excited to see perform and why? LB: Rita Indiana, after a 7 year hiatus, this is the most awaited comeback in the history independent Dominican music. What makes Isle of Light different from other music festivals around the world? EP: The incredible cultural experience. Our festival takes place in paradise! We have always supported our indie-local artists and will continue to do so, giving them an opportunity to showcase their music and grow their exposure exponentially. How has the event changed or progressed over the years? Carlos Aybar (COO/CFO): The fest has become more and more family oriented, opening gates earlier during the day and allowing entry for all ages. We’ve evolved into a more multi-cultural curation, by booking more indie-Latin bands and some indie-urban as well. We’ve brought an educational side called "IOL+" with guest speakers from the music industry that share and educate attendees with their knowledge through panels which are open to the public. Do you have any sightseeing recommendations for fans visiting Santo Domingo for the first time? CA: The Colonial Zone is a definite pleasure to visit. It was built during the Spanish colonization in the late 1500s, the buildings, museums, old army forts, are rich with history, plus there are plenty of shops, bars and excellent restaurants in this pedestrian neighborhoods. The nearest beach is 30 mins away too. Fans can expect lots of great food vendors and art installations this year. Which should attendees get excited for and why was it so important to add those elements to the festival? John Waltmann (Head of Marketing/Media): We are really excited to be partnered up with 10 or so food vendors completing the "IOL Food Park". Everything from sweets, pizza, sushi, American cuisine, and rounding off the local flavors with empanadas, there’s going to be a choice for everyone. The local vendors and art installations will represent the local culture in Santo Domingo. What kind of stage setup can festival-goers expect this year? LB: Top notch production, 40x40 stage. Pyramids, LED Screens… the works. What is one thing you hope fans take away from their experience at Isle of Light? Mark Simek (Head of PR): From a broad standpoint, we hope that fans come out of Isle of Light feeling a stronger connection to the global artistic community through the universal language that binds us all–music. On a local level, we hope fans come away feeling a stronger sense of community in the local DR music scene and feel welcomed and inspired to take part in the community’s continuous rise.